Get Your Olympic Gold Medal Chopstick Skills On! Here’s your guide to the next three Olympic games, at least as far as eating utensils go. Beginning with the Winter Olympics in 2018, the next three Olympics (2018, 2020 and 2022) will all be held in Asian countries that predominantly use chopsticks. Now’s the time to bone up on your chopstick skills and knowledge. First and perhaps most notable is that each country has its own unique style of chopsticks. So let’s explore! Korean chopsticks are perhaps the most unfamiliar to western cultures. 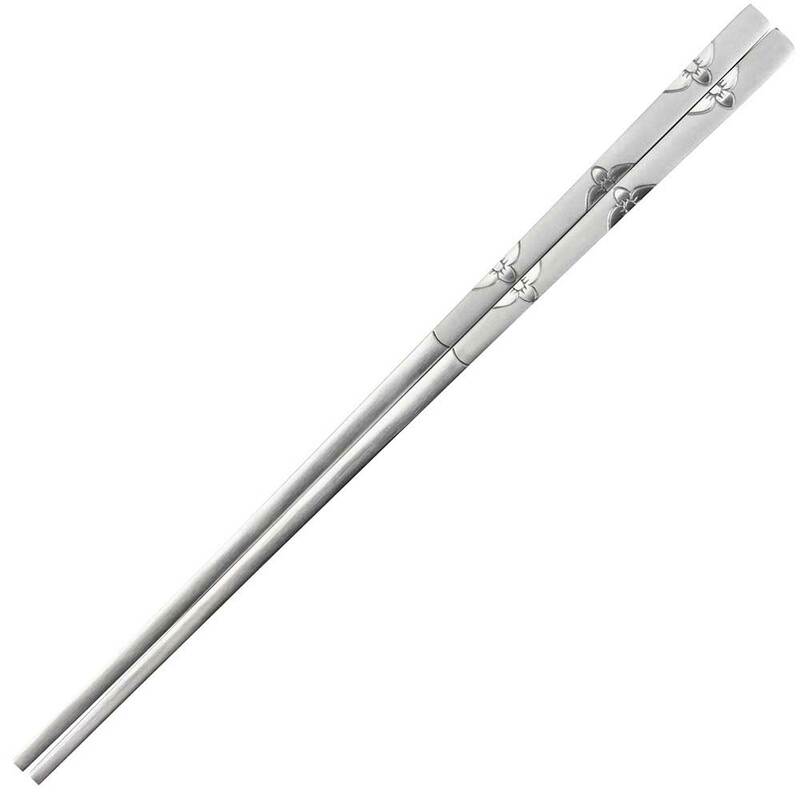 Traditionally Korean chopsticks are made of metal such as stainless steel, are about 9 inches long and are flat like the handles of silverware. In fact, typically a pair of chopsticks has a matching spoon for eating soup. If you’ve never used traditional Korean chopsticks you’re in for a challenging experience. Japanese chopsticks are traditionally made of natural materials such as wood or bamboo, are about 9 inches long and have a graceful taper from handle to tip. Japan takes the art of making chopsticks very seriously and has some of the most beautiful and elegant chopsticks in the world (see Wakasa, Nishi-jin and Kyo Yuzen, and Washi styles of chopsticks). Chinese chopsticks are the longest of all chopsticks. They are usually around 10.5 inches long with square handles and round tips with little to no taper. From spartan to ornate, Chinese chopsticks embody the unique style of Chinese design. 1. Don’t play with your chopsticks. Especially don’t use them as drum sticks at the table. 2. Don’t use your chopsticks to dig around your food looking for a particular morsel, which is known as "digging your grave." 3. Chopsticks are not used to move bowls or plates. 4. In general don’t stab your food with chopsticks. In informal settings, small challenging-to-pick-up food such as cherry tomatoes may be skewered though traditionalists may give you the evil eye. 5. Chopsticks should not be left standing vertically in a bowl of rice or other food. It resembles funereal traditional offerings of food to the dead using standing chopsticks. 6. When seated for a meal, it is common custom to allow elders to take up their chopsticks before anyone else. Cultures also have their own unique chopstick etiquette, superstitions and taboos. Following are some country specific highlights. In Korea, chopsticks are paired with a spoon, and there are conventions for how these are used together. 1. In stark contrast to Chinese and Japanese convention it is considered uncultured and rude to pick up a dish or a bowl to bring it closer to one's mouth to eat its content with chopsticks (except for noodles). A spoon is used with chopsticks, if the food "drips". 2. Never lay the chopsticks down on the table to the left of the spoon. This is done only during funerals or memorials for the deceased family members, known as jesa. 3. Use a spoon to eat soup, stew and liquid side dishes, and chopsticks for solid side dishes. Either may be used for eating rice. 1. The pointed ends of the chopsticks should be placed on a chopstick rest when the chopsticks are not being held. 2. Chopsticks should be placed parallel to the edge of the table with the tips should to the left. Placing diagonal, vertical or crossing sticks are not good manners both in home and restaurants. 3. In formal use, disposable chopsticks (wari-bashi) should be replaced into the wrapper at the end of a meal. 1. It is acceptable to hold the rice bowl—rice in China is rarely served on a plate—up to one's mouth and use chopsticks to push or shovel the rice directly into the mouth. 2. Don’t point rested chopsticks towards others seated at the table. 3. Resting chopsticks on the side of your bowl or on a chopstick rest signifies you are just taking a break from eating.